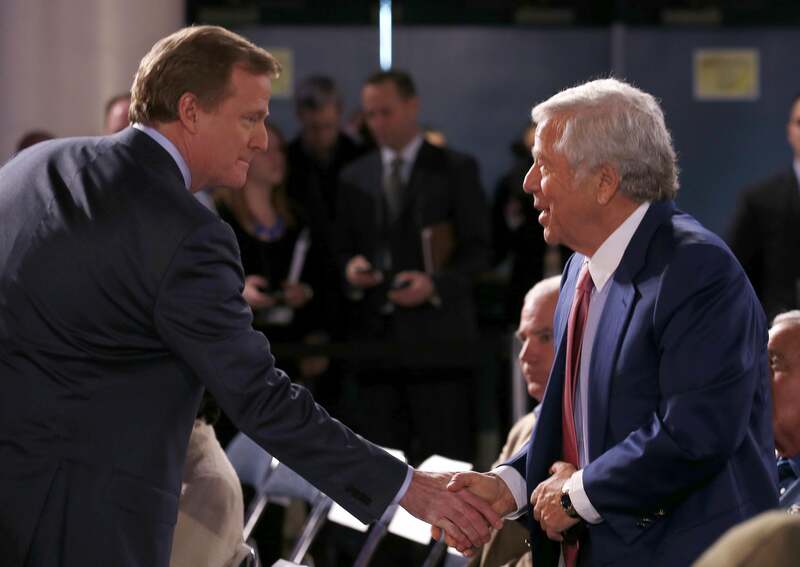 Robert Kraft, Roger Goodell hug: Deflategate development broken by NFL gossiphound. Roger Goodell and Robert Kraft in February 2013, well before the unpleasantness of Deflategate. Inherent ridiculousness aside, it is actually big news, in context, that Kraft and Goodell are on speaking terms, given the seeming possibility that one was maybe about to (indirectly) sue the other. A negotiated settlement, at this point, would not be a surprise.